This is just a quick idea to save you postage when sending a square card in the mail. One of the large "Greeting Card" companies does this same trick with their envelopes. 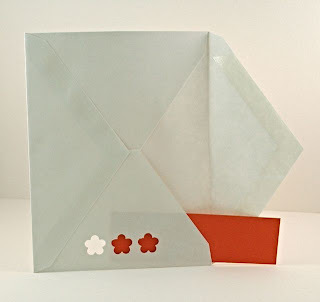 1.Place your card on top of your envelope and measure the space which is empty on the left side (looking at the front of your envelope). My strip of filler paper is approximately 1 1/4" wide x 4 1/4" tall. You should still have a nice even space around each element. This is a good way to measure any size of envelope you are working with, whether it is an A2 or A7. 2.Using a decorative punch which is no wider then 3/4". 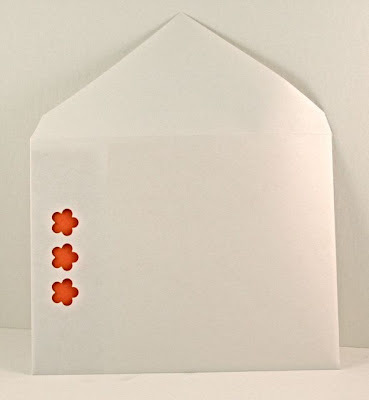 Punch through the entire side of your envelope making sure you have approximately 1/2" of space on the edge. 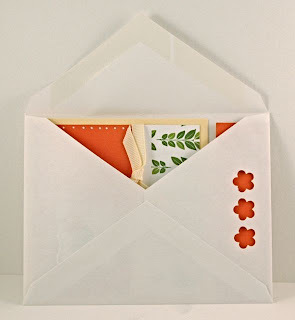 4.Place your card inside the envelope, should fit snug, but still have room to pull in and out without a struggle. 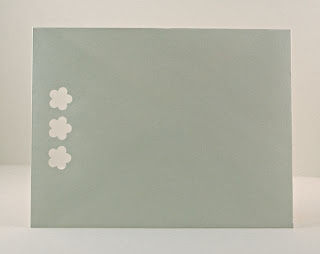 Here you have it, a decorative envelope that holds your square card snug and save you postage! Oh and I have been nominated for another award by Jackie. Jackie has some really cute stuff on her blog make sure to check it out. For some reason I am not able to save any images to my computer. SO for those awarded please go to Jackie's site and grab her image to use...sorry. Another issue my poor DH is going to have to look into. The rules for the "Blogging Friends Forever" award are:* Only five people allowed* Four have to be dedicated followers of your blog* One has to be someone new or recently new to your blog or lives in another part of the world. * You must link back to whoever gave you the award. 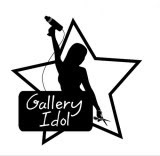 * The winner can put the logo on his/her blog. 5. Maria isn't in another part of the world (one rule broken), she is actually in the same state. Maria is new to me though and I love her stuff! I was just getting ready to applaude your square card trick when my name caught my eye. YOUR SUCH A SWEETIE!! I love your work and my kids love your videos!!! Your a daily stop for me now!! What a neat idea... definitely trying this! super cute! Am so using this idea!! This idea is awesome Pam! I will definitely try this. AND your card is cute as can be too! LOve it! And thank you sooo much for the award! I will go snag the picture and get this up tomorrow if we dont loose power here cause of that dern hurricane..shouldnt but never know. great tutorial! I think your instructions are so clear! Thanks for sharing the great envie idea. FYI, it's Labour Day in Canada. Canada Day is July 1. Just so you know! 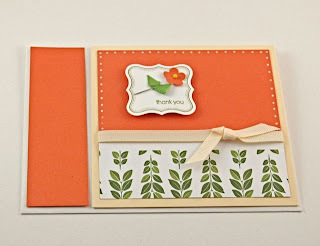 great tutorial for this punched envie! love it!